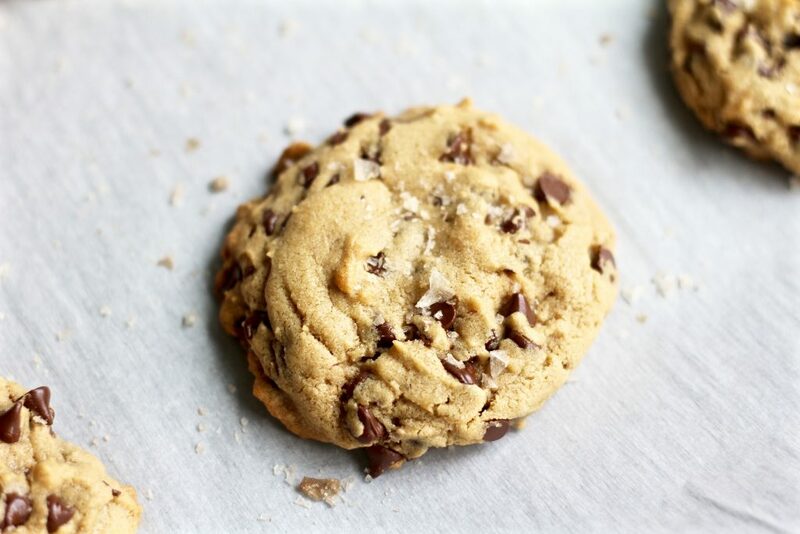 This recipe for sea salt peanut butter chocolate chip cookies is what finally brought my years of searching for a soul mate to an end. 1.) 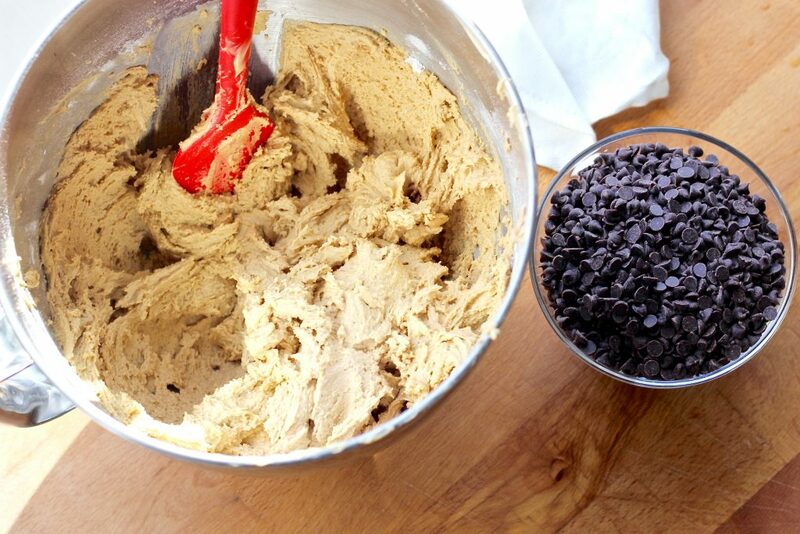 The mini chocolate chips make the chocolate to cookie dough distribution perfect. Just the right amount of gooey, melty chocolate in each bite. 2.) 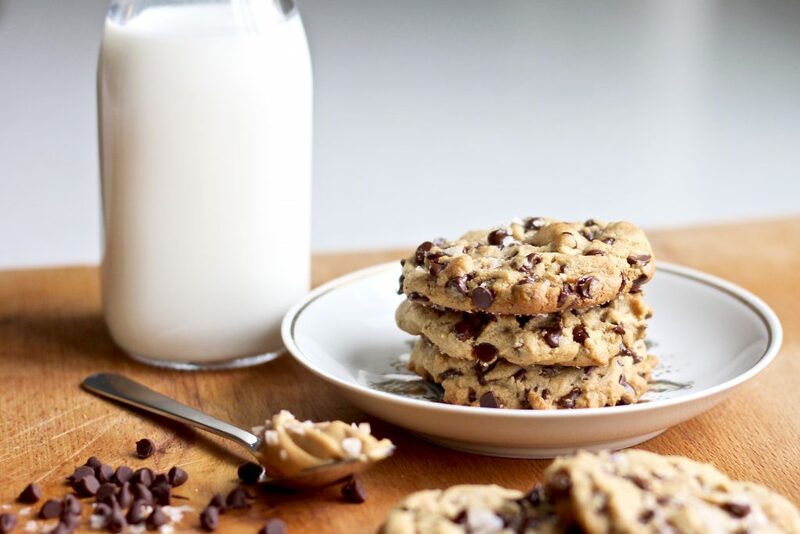 Peanut butter makes these cookies extra soft and chewy even as they cool off and add a more complex, nutty flavor to the cookie dough. 3.) Greek yogurt and honey also help contribute to that chewy, soft texture. 4.) 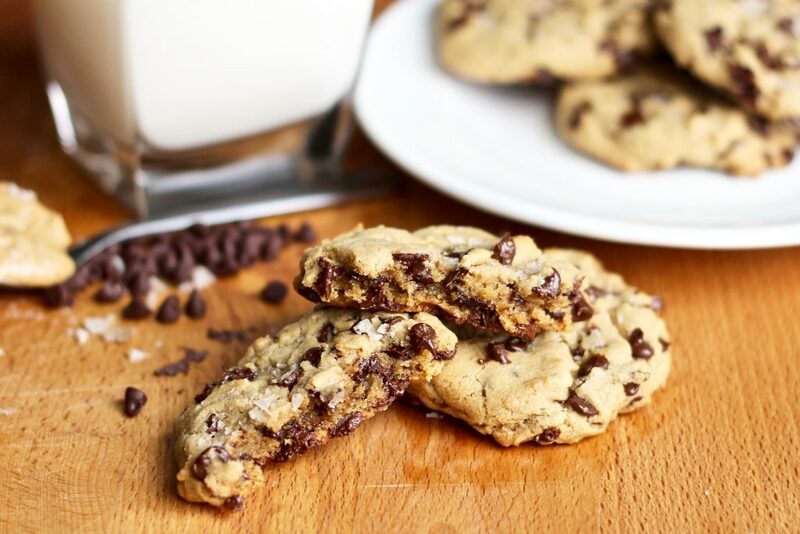 Sea salt sprinkled on top just after baking adds a balance to the sweetness and makes these cookies extra addicting! Sometimes I think about making other cookies but then I realize anything else will simply be a disappointment. Don’t believe me? Try this recipe and get back to me after you’ve devoured the full two dozen! Huge thanks to Monique at Ambitious Kitchen for the inspiration for this recipe. She is queen of the sweet & salty combo and my baked goods kindred spirit! Combine the first four dry ingredients in a medium bowl (flour, baking soda, baking powder, and salt). 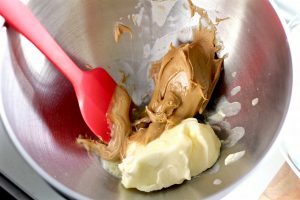 Using a stand mixer or electric mixer, mix the softened butter and peanut butter together until they’re well blended. Add the sugars and beat until smooth and creamy. Then beat in the egg, egg yolk, honey, vanilla, and yogurt until combined. Add the dry ingredients slowly and beat on low-speed until fully incorporated. Chill dough in refrigerator for about an hour or 30 minutes in the freezer. I’ve seen so many different “tricks” to achieve that perfect slightly-crunchy-on-the-outside-but-chewy-in-the-center texture… But the truth is, there is no magical ingredient that will do that for you. The MOST IMPORTANT thing you can do is chill the dough and don’t over bake the cookies. 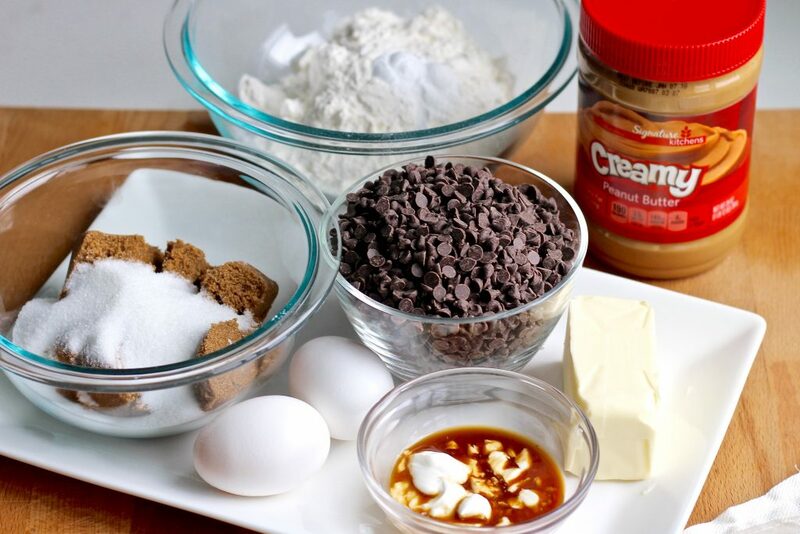 If you do that, even the most basic store bought cookie will turn out perfect and delicious! 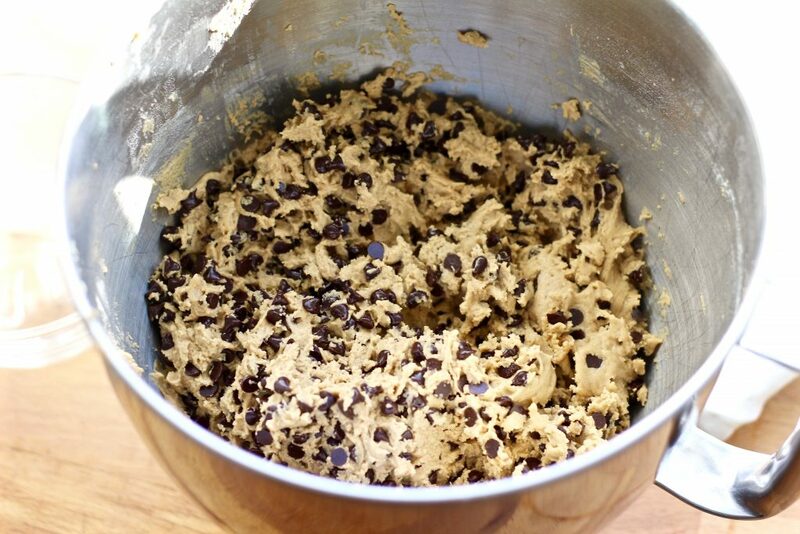 When your cookie dough is almost done chilling, preheat the oven to 350 degrees. 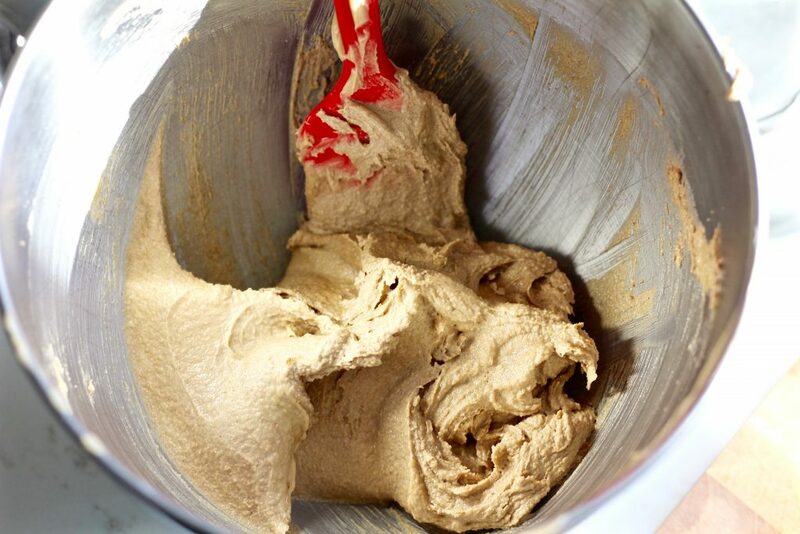 When cookie dough is chilled, scoop with a large spoon (or mini ice cream scoop) and roll in your hands to create 1″ balls. Place cookie dough on parchment lined cookie sheet. 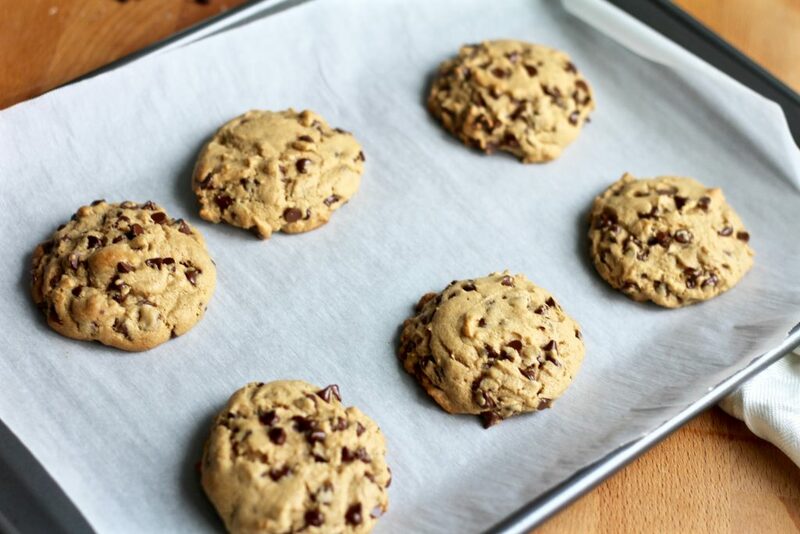 (12 cookies per large sheet). 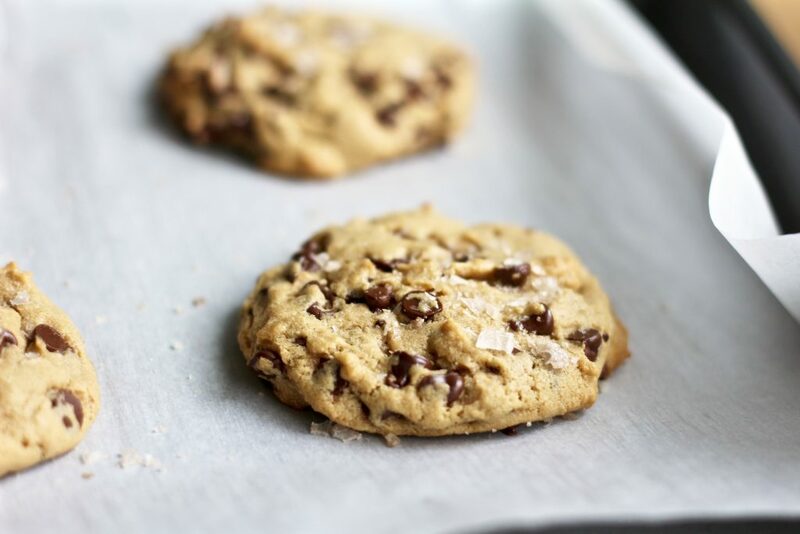 I’m a huge fan of salt and have been experimenting with different types for this cookie. 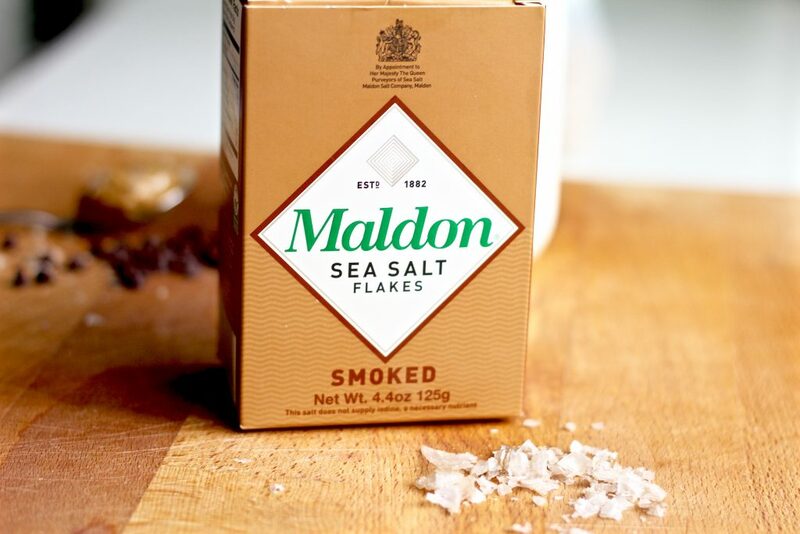 These smoked sea salt flakes (found at Target) are one of my favorites so far! Once the sea salt peanut butter chocolate chip cookies are cooled (if you really had the patience to wait five minutes), pour yourself a tall glass of milk and enjoy them while they are warm and gooey. Every bite will be filled with chewy, chocolatey goodness! 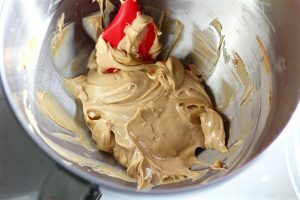 Using a stand mixer or electric mixer, mix the softened butter and peanut butter together until they're well blended. Add the dry ingredients slowly and beat on low-speed until combined. Chill dough in refrigerator for about an hour or 30 minutes in the freezer. 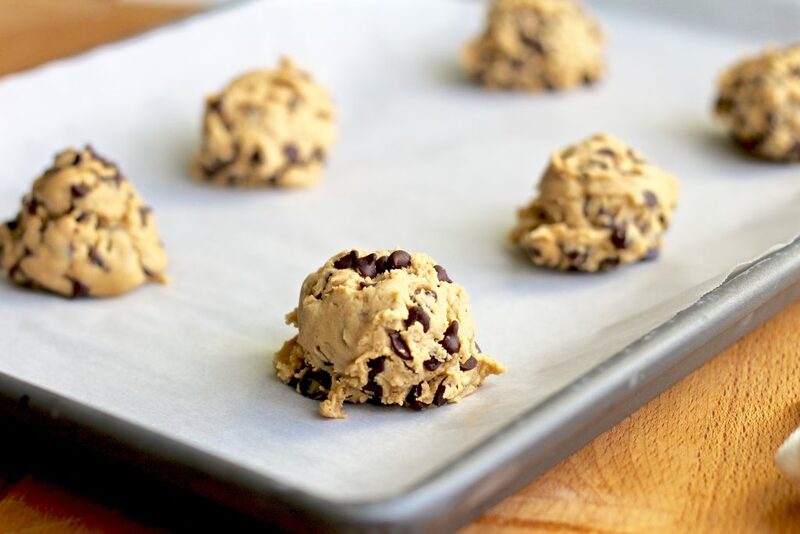 When cookie dough is chilled, scoop with a large spoon and roll in your hands to create 1" balls. Bake for 9-12 minutes (depends on size of your cookie) or until cookies start to look slightly golden brown around the edges. Do not over bake! 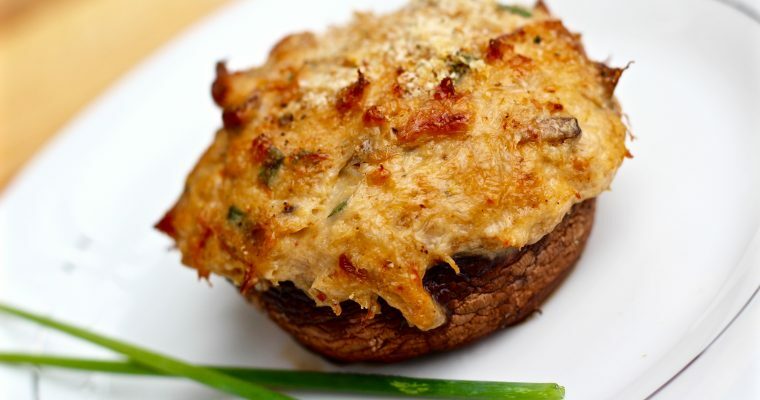 Remove from oven and sprinkle generously with sea salt (or Kosher salt flakes). Allow to cool for 3-5 minutes before removing them from the cookie sheet. umm, yes! these look great! Thanks! 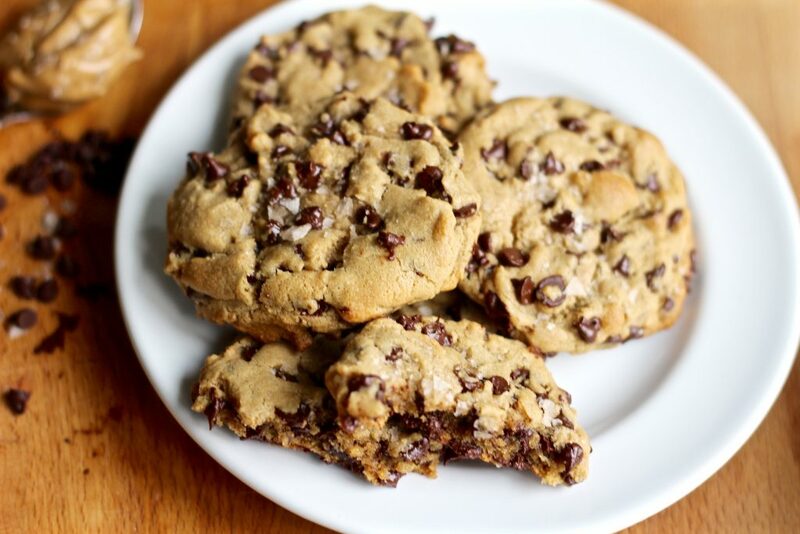 These are my favorite go-to chocolate chip cookie! I swear, sometimes Tuesdays are rougher than Mondays. And today being one of those days, I could use an entire batch of these! Love everything about them! Thanks Karly! I know exactly what you mean. And don’t worry– I won’t tell anyone if you help yourself! Now! How many cookies should this make? Salvatore, I usually get about two dozen cookies, depending on the size! Enjoy!